Cook rotini to desired doneness as directed on package. Drain; rinse with cold water to cool. Drain well. 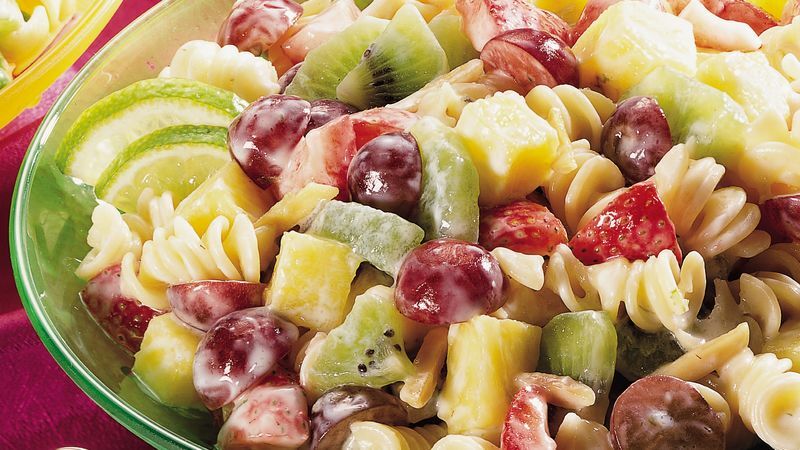 In large bowl, combine cooked rotini and all remaining salad ingredients; mix gently. In small bowl, combine all dressing ingredients; blend well. Pour dressing over salad; toss gently to coat.